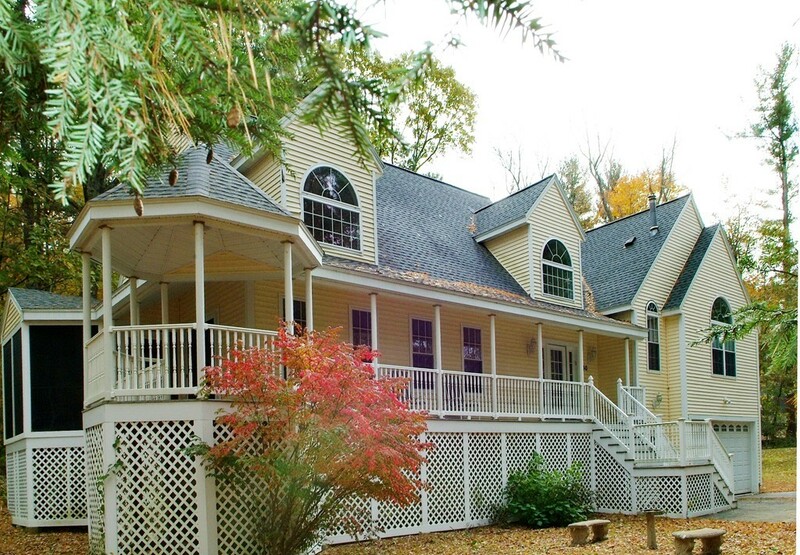 Start the New Year in your beautiful new home situated on 2 1/2 acres. Enjoy the privacy & tranquility while sitting on your wrap around porch with a gazebo & screen area overlooking your private pond. This property is bright & spacious with hard wood floors throughout. Welcome guests in the open foyer & walk through the French doors into a charming living/dining room which features wainscotings & crown molding. The lg, eat in kitchen has granite counter-tops & sliders that lead to the screen porch. Step down into the family room & enjoy the warmth of its gas fireplace. Relax in the 1st floor master bedroom suite with its gas fireplace, walk in closet & private bathroom spa w/whirlpool tub & vanity area. Upstairs are two more lg.bedrooms w/walk-in closets & adjoining full bathroom. There is plenty of room for expansion with the 4 bedroom septic system & full unfinished basement. Other features incl. additional 1/2 bathroom, laundry rm, central vac, 2015 roof,Too many extras to list!